Will Snapdeal really turn profitable in next two years? Snapdeal co-founder Kunal Bahl has said that the e-commerce firm is looking to turn profitable in the next two years and that it doesn't need to raise funds unless it decides to make an acquisition. "I see a relatively clear line of sight to (profit) and we've been making great progress in that direction also," Bahl said in an interview to Reuters Bahl's comments, however, appear too good to be true. For, even in 2015, Bahl had said that the company would be profitable in two to three years. His latest claim does not seem to be aligned with the company's performance. Jasper Infotech Pvt. Ltd, which runs online marketplace Snapdeal, more than doubled its losses to Rs 2,960 crore (around $436 million) in the financial year ended 31 March 2016. The firm's consolidated loss grew to Rs 3,315 crore from Rs 1,328 crore in 2014-15. Clearly, turning around won't be easy. Also, there have been reports that the company is in talks with its investor Softbank Group Corp to raise fresh funds at a lower valuation, ranging between $3 billion and $4 billion. Analysts also take such claims with a pinch of salt. 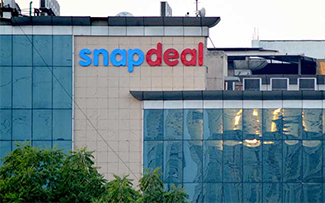 "This is not specifically about Snapdeal, but many e-commerce companies have been making such claims for three to four years now," said Arvind Singhal, chairman at retail consultancy Technopak. "Going by those reports, they were ready to list by 2017." Singhal believes that e-commerce companies, in general, tend to give unrealistic projections. To be sure, Snapdeal had been working toward reducing ballooning operational costs to check losses. The company tweaked its business model by setting up a wholesale unit, E-Agility Solutions Pvt Ltd, to fund vendors and bring on board fashion brands that sell directly to e-commerce firms. However, industry experts believe that for an e-commerce firm, cost-cutting alone is difficult to improve the company's chances of attaining profitability. "Turning profitable for any of the e-commerce giants is not difficult. The problem is that, at present, any such initiative will require massive re-budgeting and reallocation of resources," said angel investor Ajeet Khurana. "The journey to profitability will be accompanied by a dramatic fall in revenue." Such organisational or financial restructuring won't be easy, either. Singhal said it's difficult to make a high-cost organisation into a low-cost one in a short period. "The salary cost of these companies is very high, and is very difficult to reduce. Advertising expenditure is very risky to reduce as you still have to advertise to draw customers, if your competitor is also advertising," he said. "You can't replace one organisation with a new one all of a sudden."